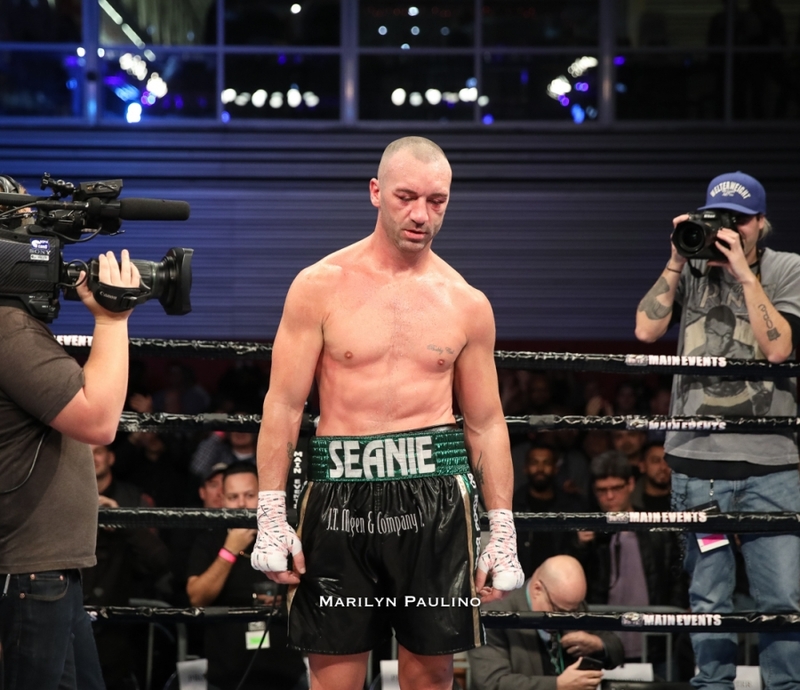 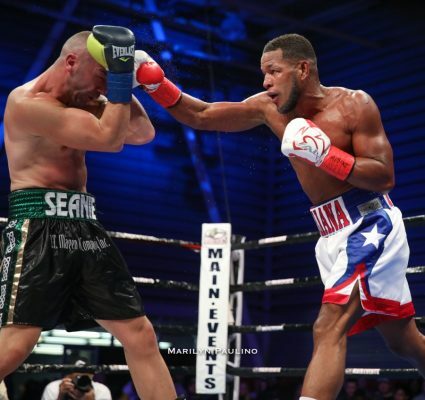 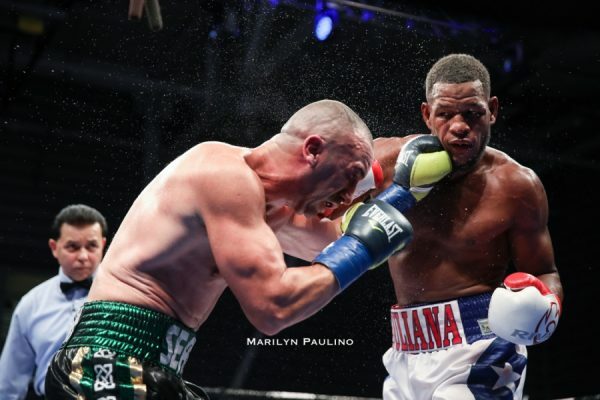 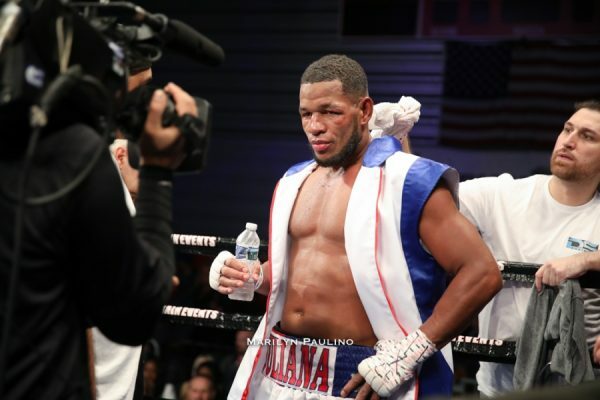 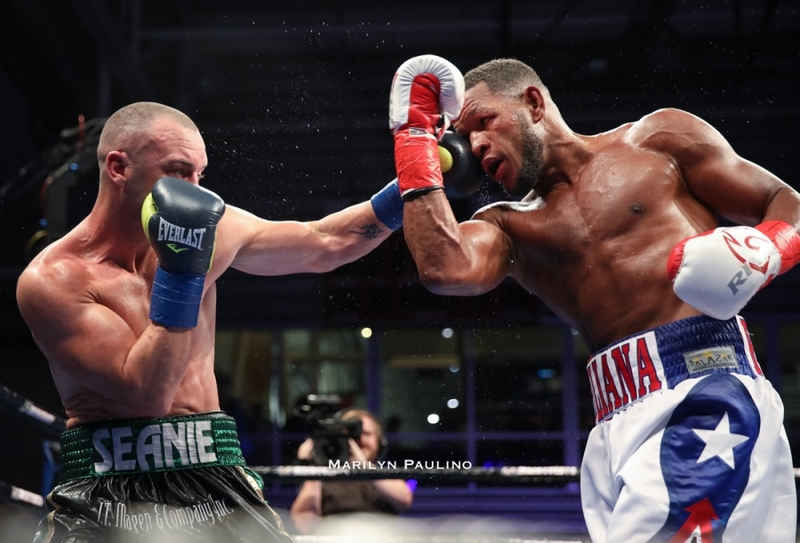 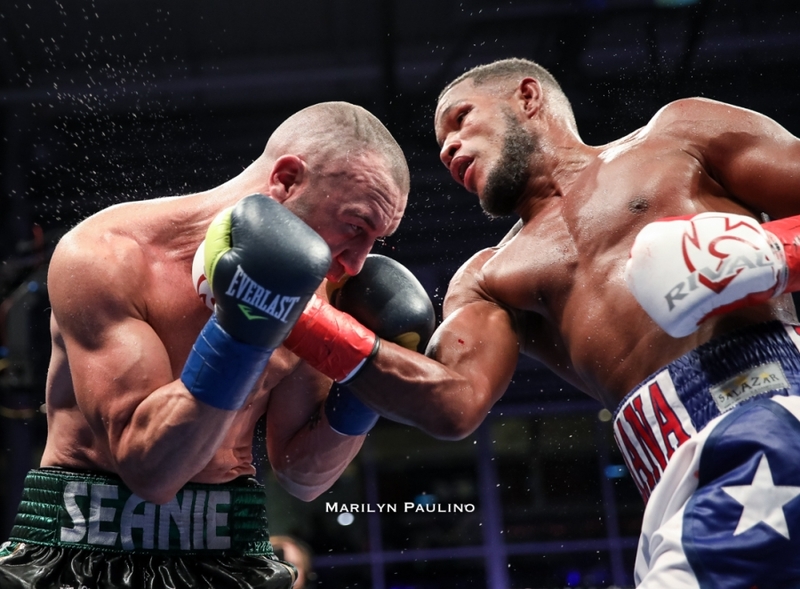 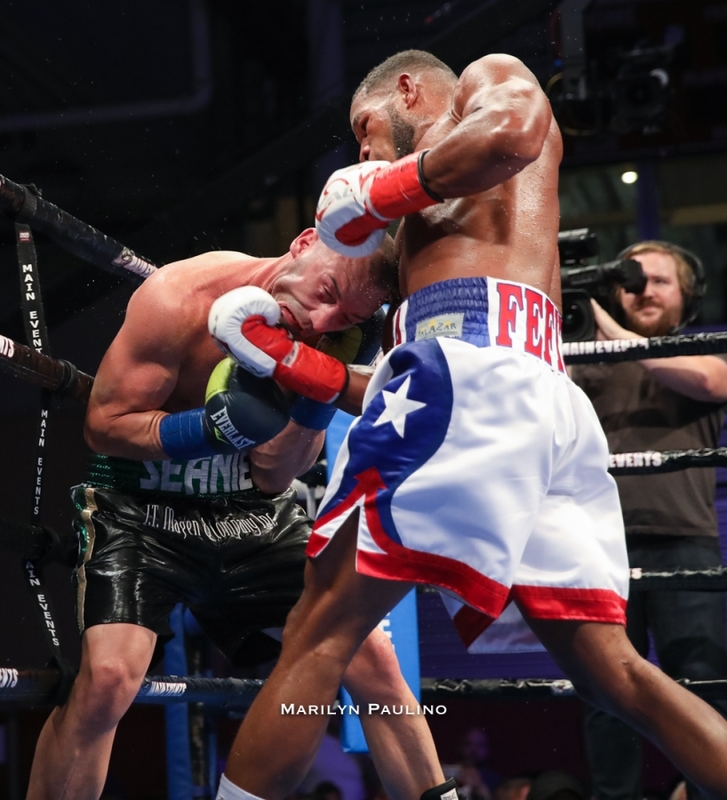 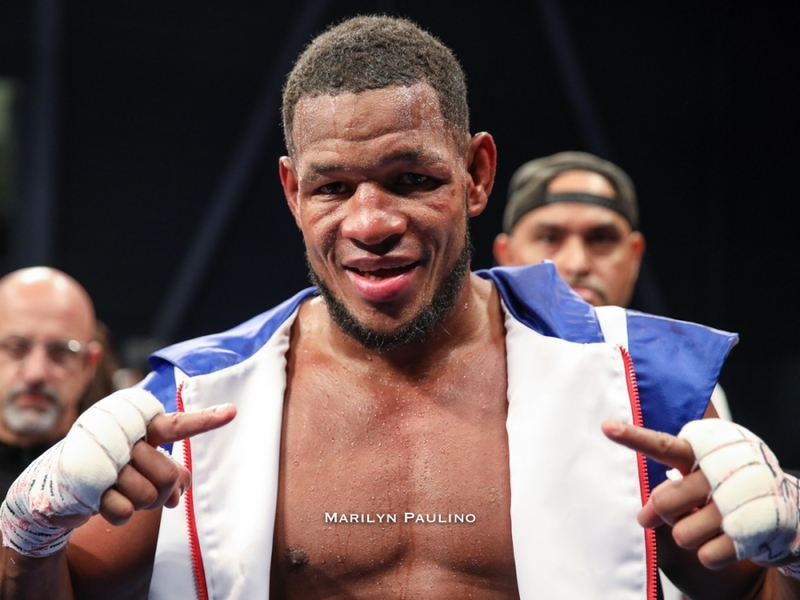 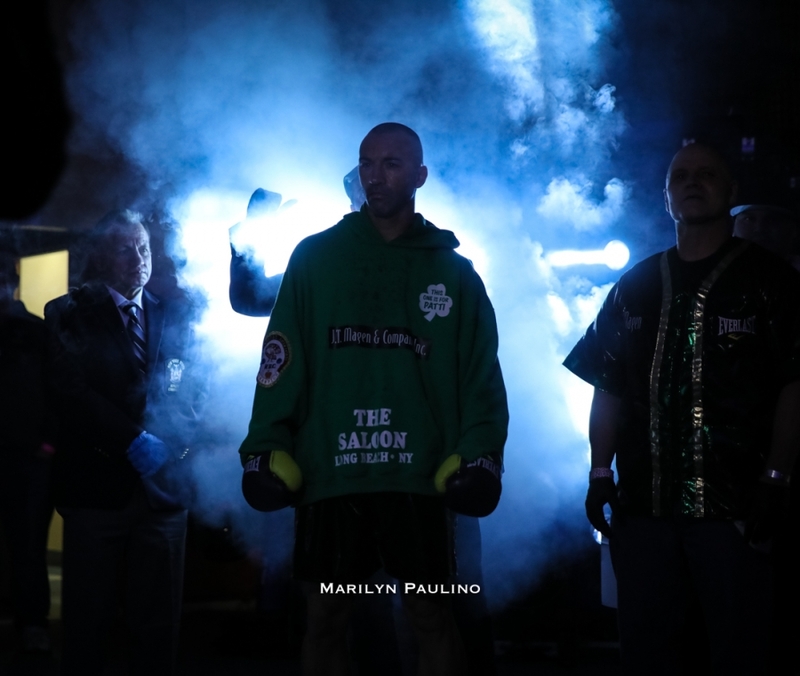 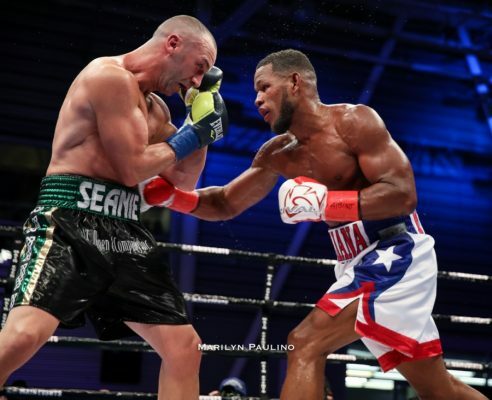 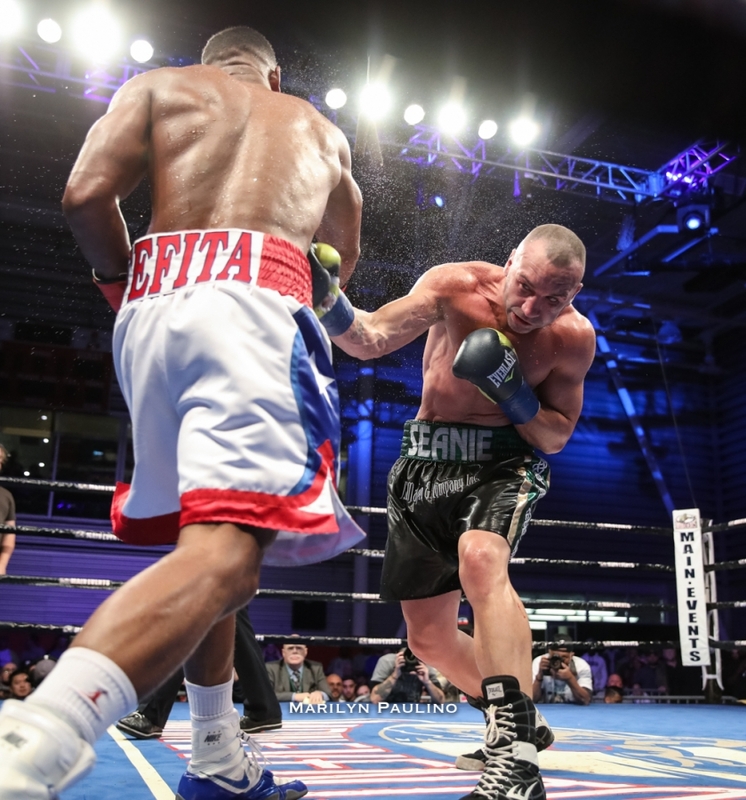 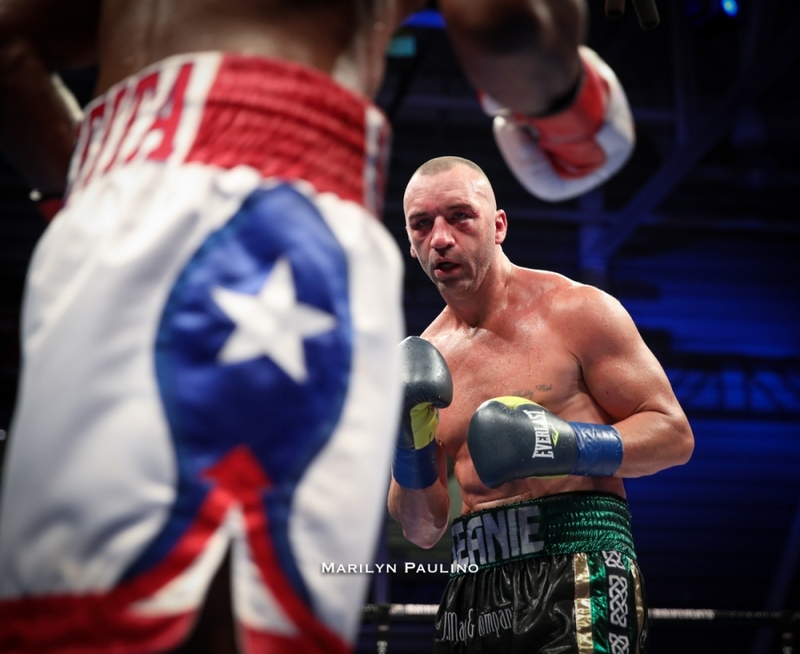 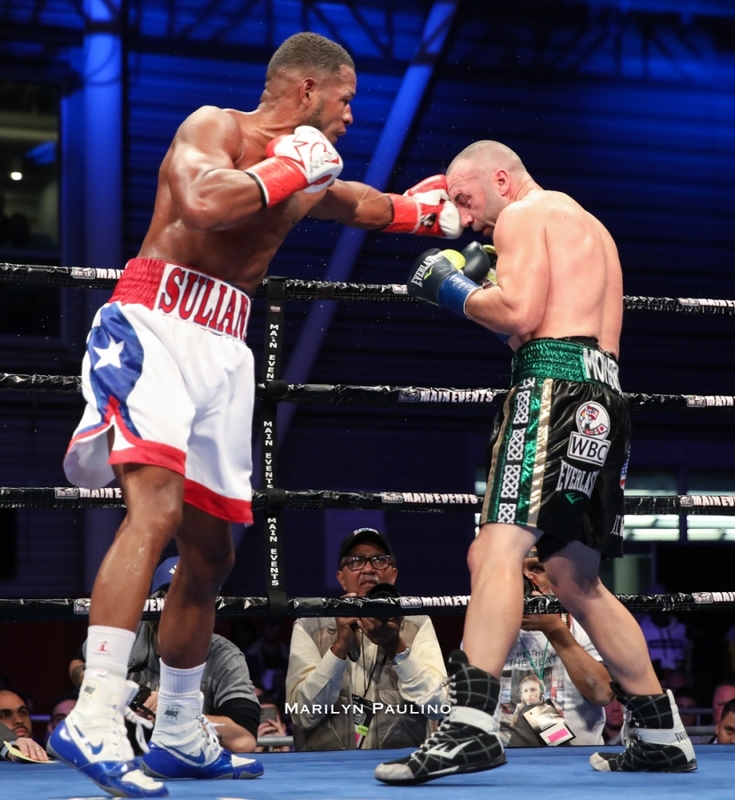 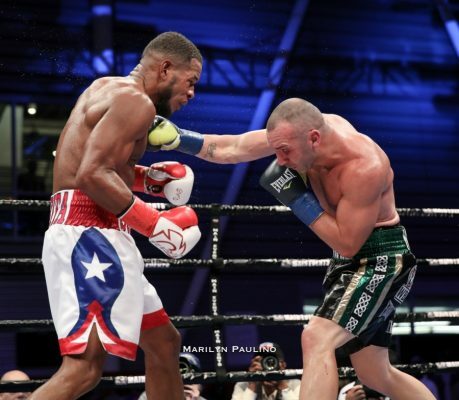 Light Heavyweight Sullivan Barrera (22-2, 14 KOs) dominated throughout 10 rounds, emerging with a solid unanimous decision victory over a tough “Irish” Seanie Monaghan (29-2, 17 KOs) Saturday at The Aviator Sports Center. 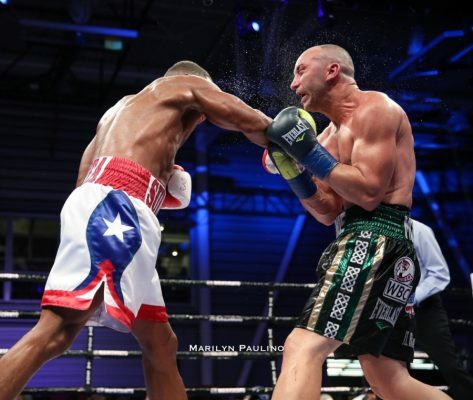 The judges scored the fight 99-91 on two scorecards, and 98-92 on the third. 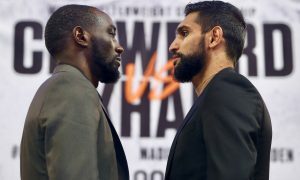 Both men knew the stakes were high, and brought the action, fighting hard through every round and leaving nothing in the ring by the final bell. They stayed in the center of the ring, neither man wanting to give an inch to his opponent. It was the kind of action packed contest the Brooklyn fans love. 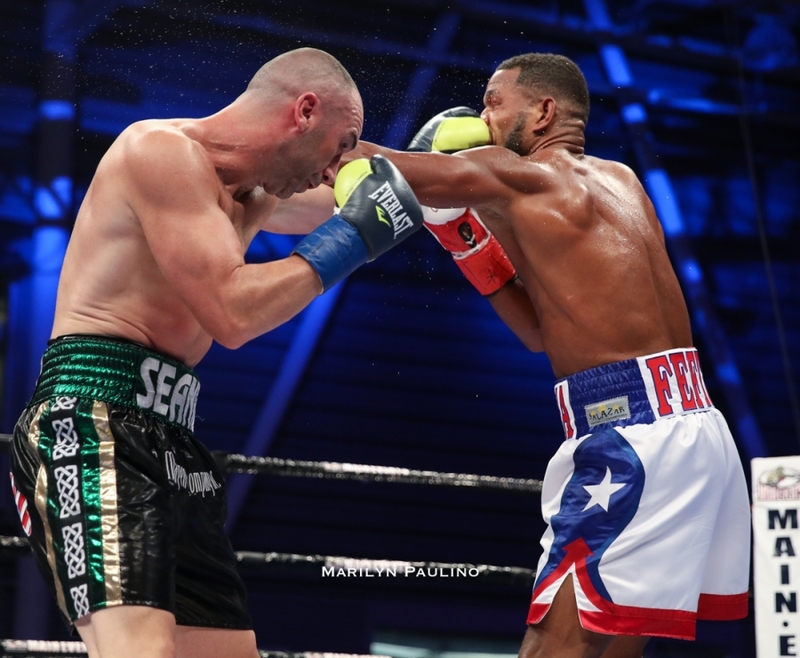 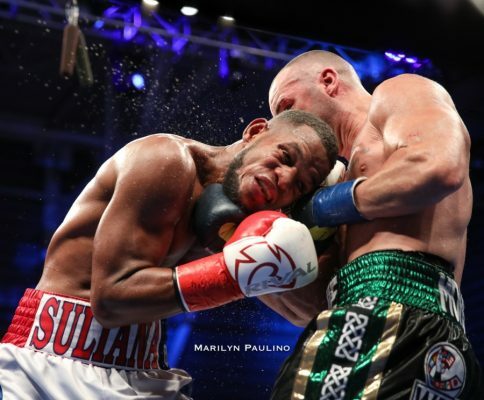 Sullivan Barrera delivered nearly double the power punches of his opponent, Sean Monaghan. 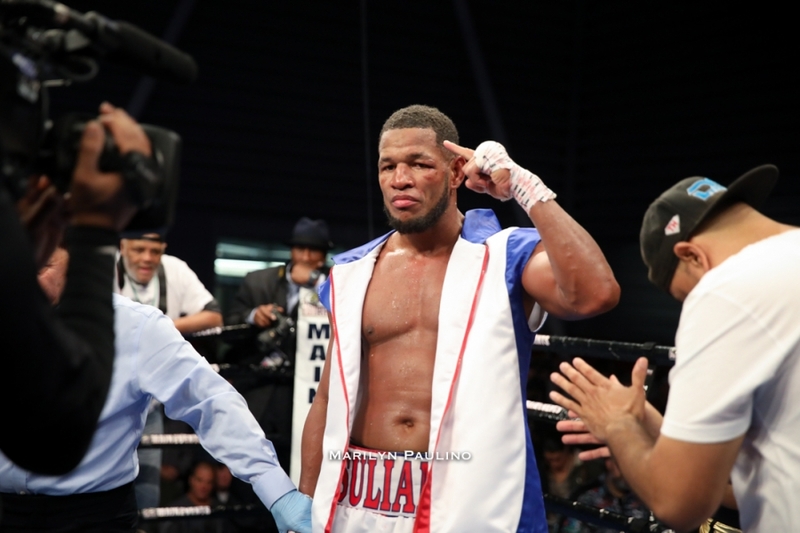 Barrera said he would have liked to get a knockout, and thought he had a chance in the eighth round. 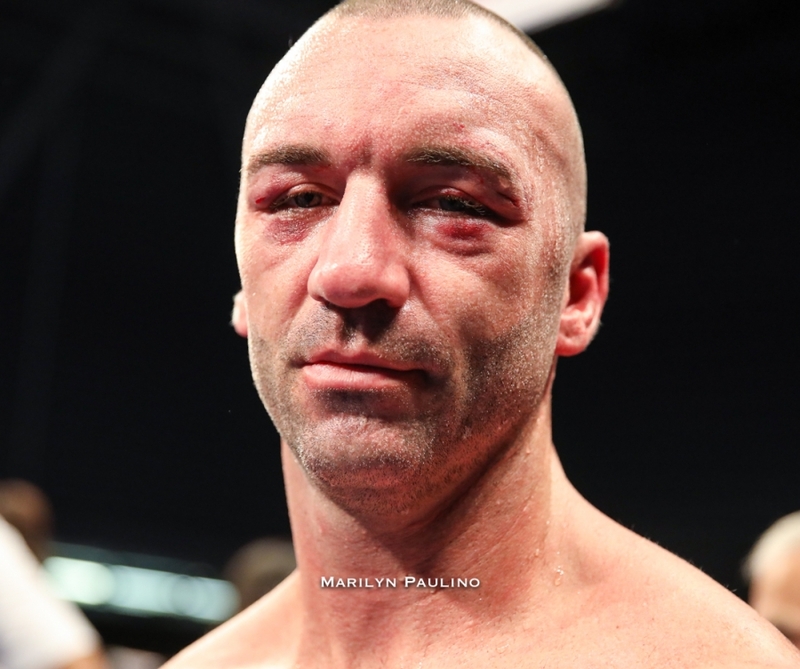 “I know his face, he was a little bit tired. 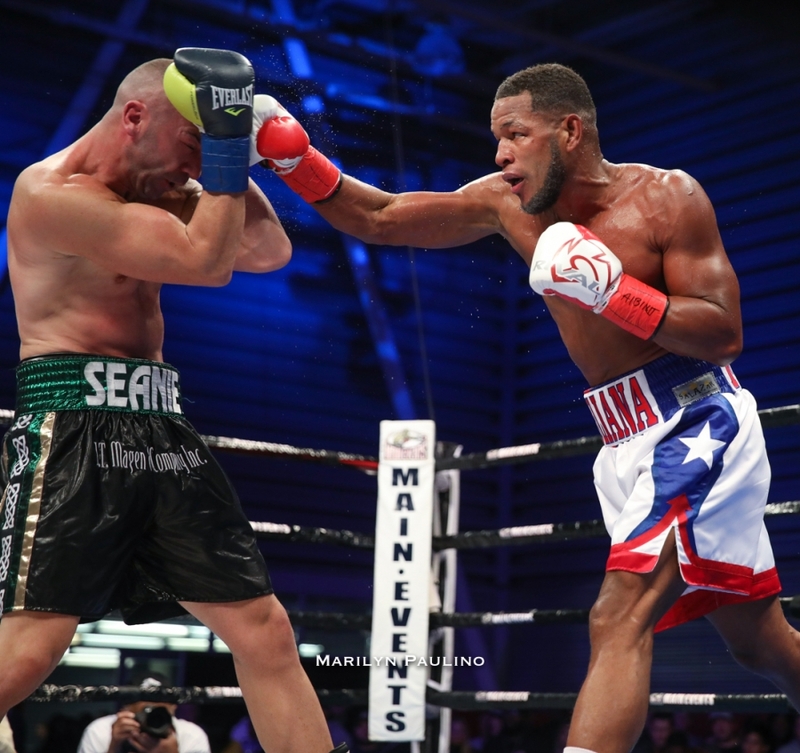 I tried to knock him out, but he’s a strong guy,” said Barrera. 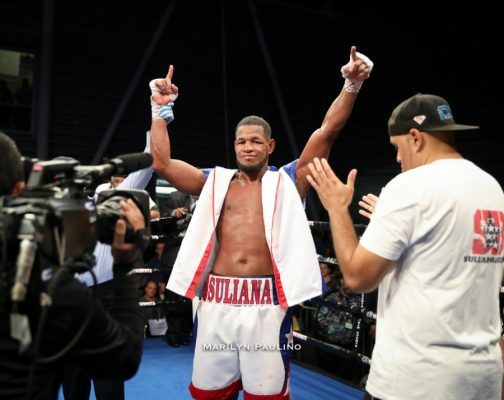 He said being inactive since last March due to injury made it a more ambitious goal than he thought. After a slow start, Barrera began rolling up power punches as the fight went into the middle rounds. His left hook was especially effective. 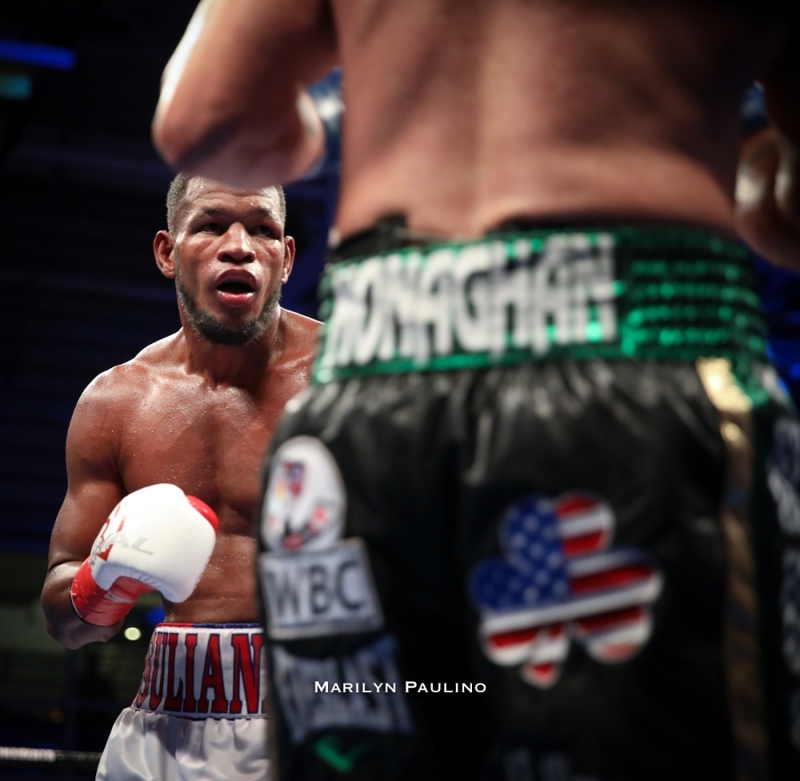 Barrera landed double the number of power shots as Monaghan, 144 punches of 392 thrown (36.7 percent) to 72 of 249 power punches (28.9 percent) for Monaghan. 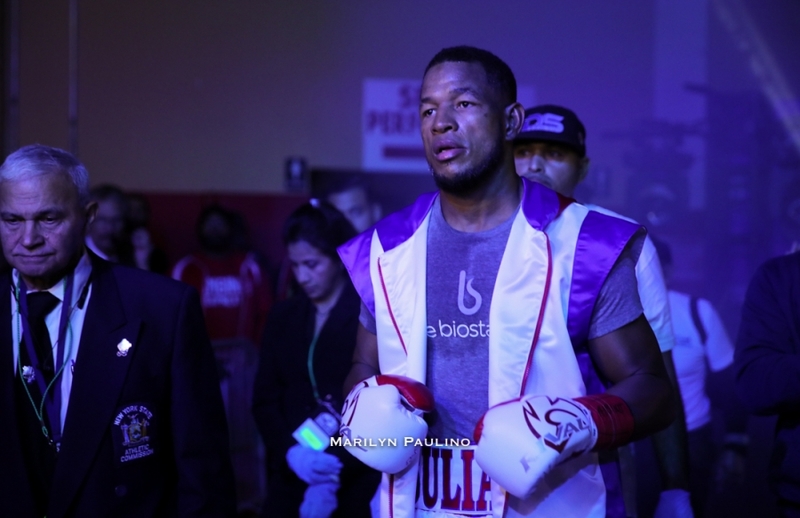 Barrera says he’s now eager to challenge the men at the top of his very competitive division. “We are ready for everyone. I proved tonight I’m a tough light heavyweight.” said Barrera.